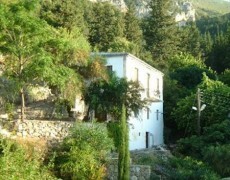 The Riverside Cottage is situated on the level below the pool terrace, and below the Mountain Villa and the House that Jack Built. 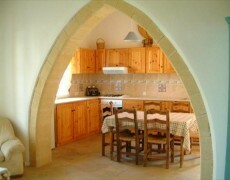 It was also a ruin that has been rebuilt and renovated in local style in the year 2000. 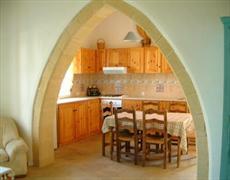 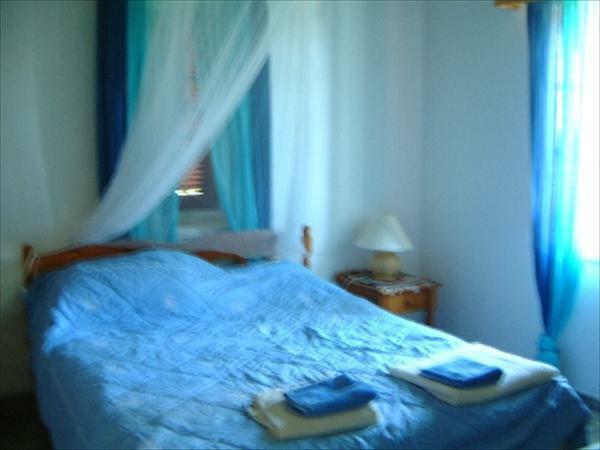 It has two bedrooms, one with two single beds and one with a king size and both with en suite bathrooms. 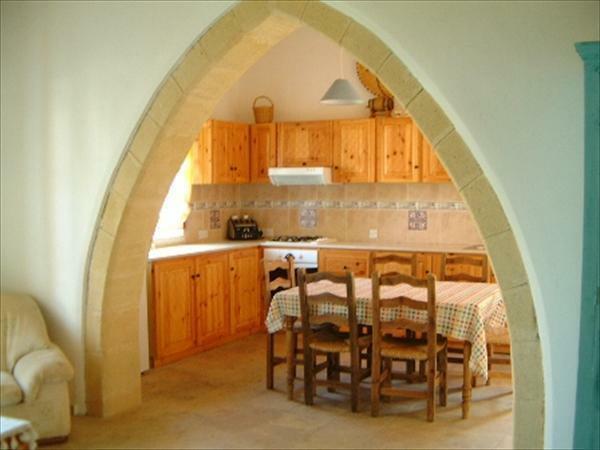 The cottage has an open plan kitchen/ dining area separated from a very comfortable sitting area by a giant Cyprus kemar (arch). 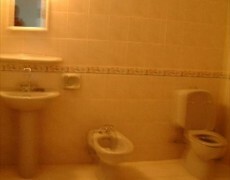 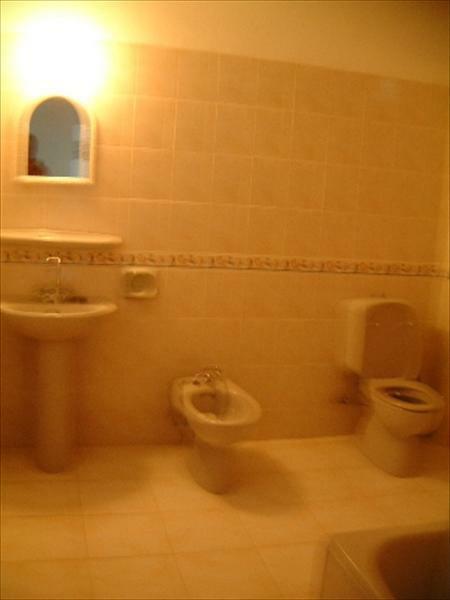 The two bathrooms, one on each floor, are fully tiled. The bottom bedroom and living area can, if desired, be separated from the rest of the house to give privacy and comfort with its own small terrace and street door below. 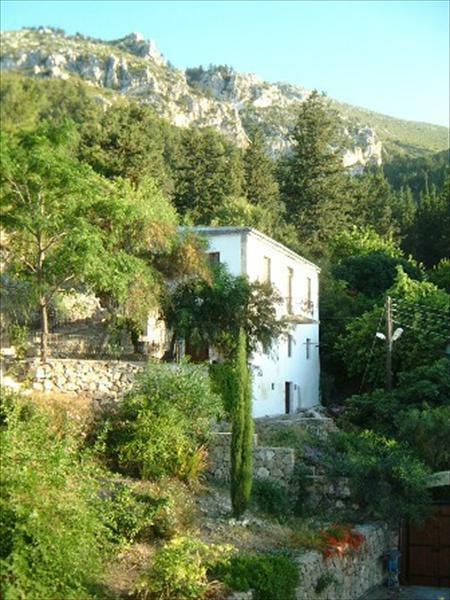 Outdoor living includes a multi arched colonial covered balcony and a smaller suspended balcony looking northwards towards Ozankoy and lower Bellapais village and along the line of the old crusader road towards the magical mediteranean sea coast.